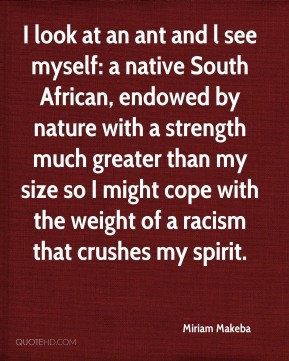 I look at an ant and l see myself: a native South African, endowed by nature with a strength much greater than my size so I might cope with the weight of a racism that crushes my spirit. 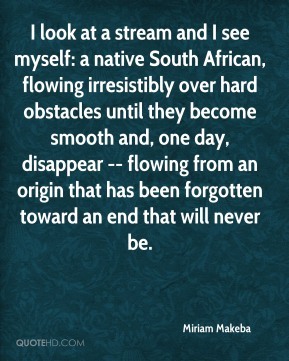 I look at a stream and I see myself: a native South African, flowing irresistibly over hard obstacles until they become smooth and, one day, disappear -- flowing from an origin that has been forgotten toward an end that will never be. 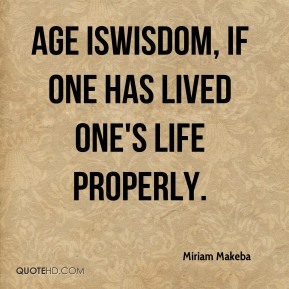 wisdom, if one has lived one's life properly. 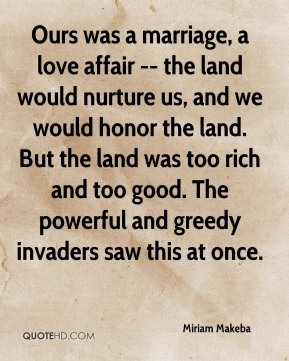 Ours was a marriage, a love affair -- the land would nurture us, and we would honor the land. 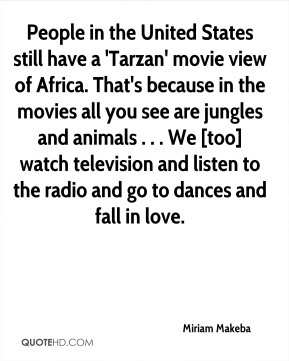 But the land was too rich and too good. The powerful and greedy invaders saw this at once. 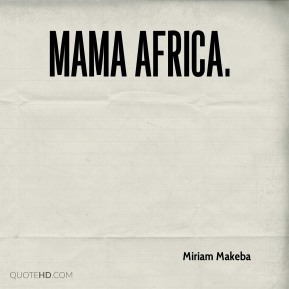 I was so scared. Such a big orchestra.